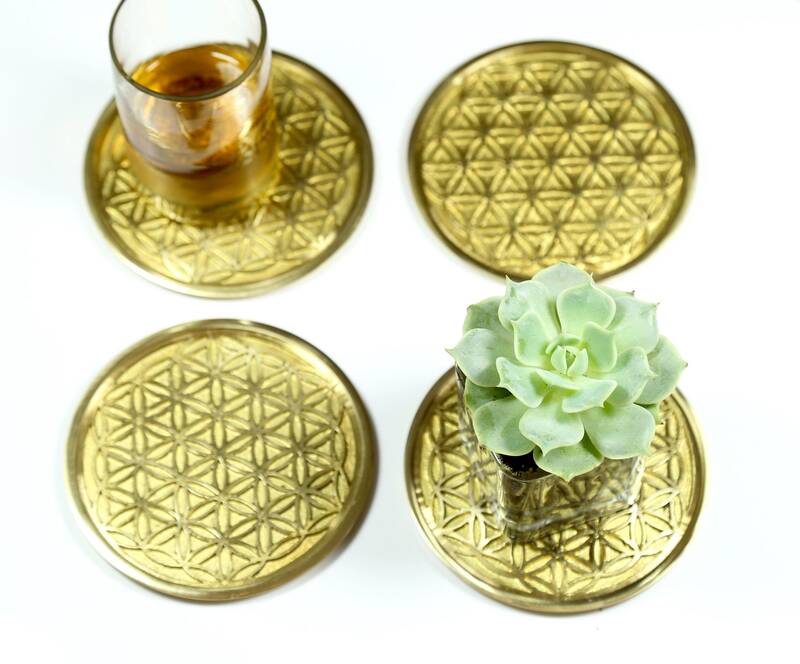 Our Flower of Life Coaster Set has been designed with exact precision according to the harmony, proportion and mathematical laws of sacred geometry. 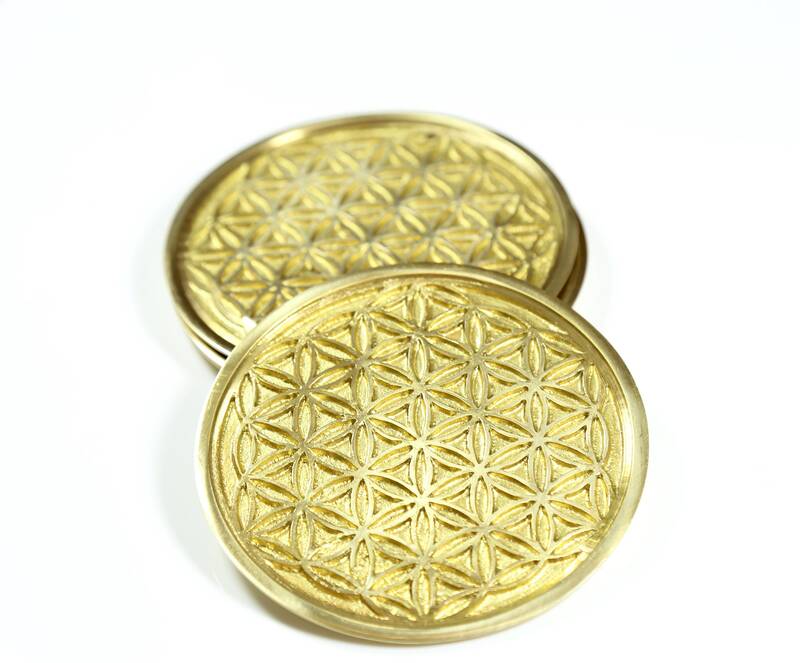 The flower of life is an ancient symbol that consists of evenly-spaced, symmetrical overlapping circles. The divine pattern of the Flower of Life represents the connections that run through all living beings. ✦ Use as a coaster to "structure" your cup or bottle of water. Dr. Masaru Emoto discovered that water reacts to symbols, words and sound. Water receiving positive messages and intentions creates well-ordered, hexagonal crystals which are better absorbed by our bodies. ✦ Concentrate on the image to balance and soothe your own spirit. 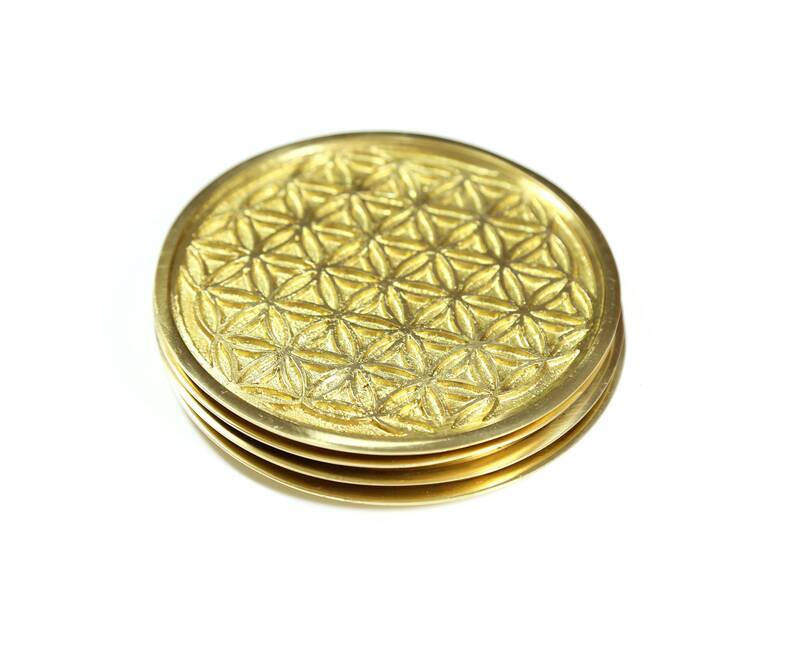 Use as a tool for connecting during meditation or setting an intention. 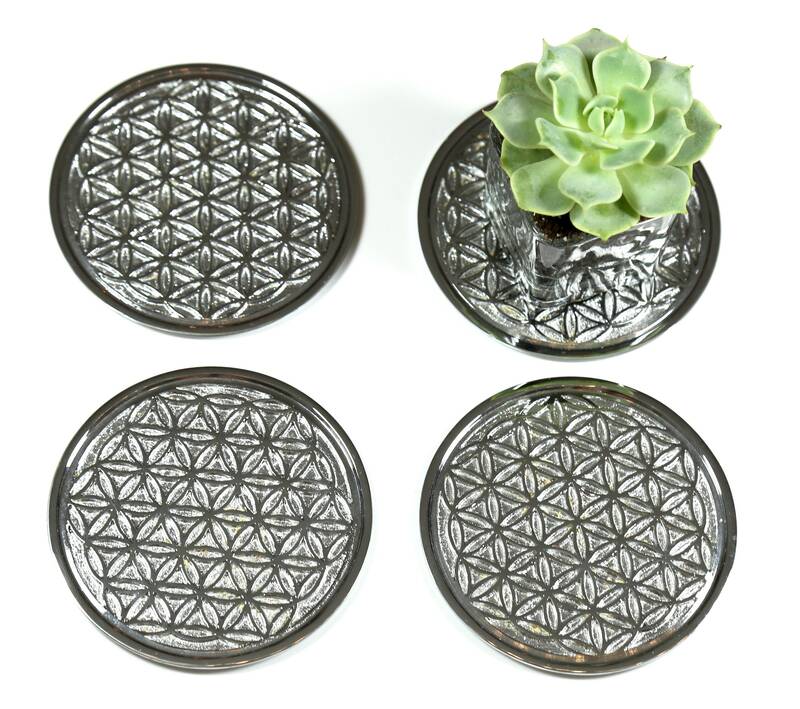 ✦ Use to decorate and bring good vibes to your dining room or coffee table. ✦ Give to someone you love as as a birthday, engagement, housewarming or Christmas gift!